The hematopoietic system serves a valuable model to study basic gene regulatory mechanisms involved in cell fate decisions and cell maturation. An adult human produces nearly a trillion new blood cells every day. This remarkable process is achieved by the self-renewal of pluripotent hematopoietic stem cells (HSCs) and their occasional entry into pathways of gradually restricted lineage potential. This eventually leads to the generation of more than 8 distinct functional cell types. 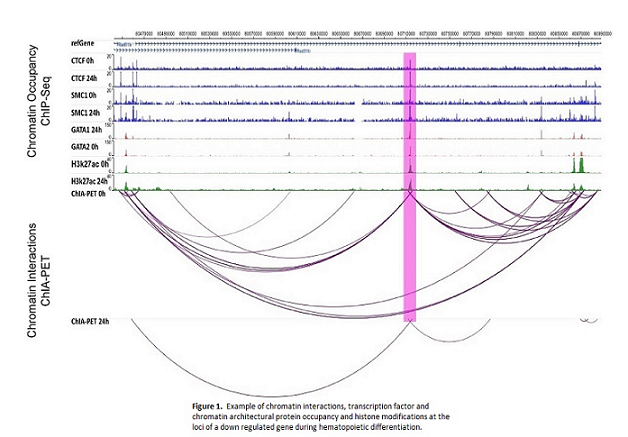 Highly orchestrated gene expression changes occur during this differentiation process. Locus-specific regulation of transcription factor activity via recruitment of different chromatin remodeling complexes. Post-transcriptional control of lineage-specific transcription factors in hematopoiesis. Yu M, Mazor T, Huang H, Huang H-T, Kathrein KL, Woo AJ, Chouinard CR, Labadorf A, Akie TE, Moran TB, Xie H, Zacharek S, Taniuchi I, Roeder RG, Kim CF, Zon LI, Fraenkel E, Cantor AB. 2012. Direct Recruitment of Polycomb Repressive Complex 1 to Chromatin by Core Binding Transcription Factors. Molecular Cell 45:330-343. [NIHMS 349597]. Yu M, Riva L, Xie H, Schindler Y, Moran TB, Cheng Y, Yu D, Hardison R, Weiss MJ, Orkin SH, Bernstein BE, Fraenkel E, Cantor AB. 2009. Novel Insights into GATA-1 Mediated Gene Activation versus Repression via Genome-wide Chromatin Occupancy Analysis. Molecular Cell, 36: 682-695. [NIHMS 163436]. Understanding the mechanisms by which RUNX1 and GATA2 mutations predispose to clonal hematopoiesis and leukemia development. Understanding how leukemia-associated mutations in transcriptional regulators alter 3D chromatin structure. Understanding the mechanisms by which GATA1 mutations lead to Down syndrome Transient Myeloproliferative Disorder and Megakaryoblastic Leukemia. Understanding molecular mechanisms underlying development of non-MLL rearranged therapy-related myelodysplastic syndrome (t-MDS). Examining the role of RUNX1 downstream of activated PTPN11/RAS signaling in Juvenile Myelomonocytic Leukemia, and developing RUNX1 inhibitors as potential novel therapeutics for this disease. Woo AJ, Wieland K, Huang H, Akie TE, Piers T, Kim J, Cantor AB. 2013. Developmental Differences in Interferon Signaling Affect GATA1s Induced Megakaryocyte Hyperproliferation, J Clin Invest. 123:3292-3304. Cantor AB. 2015. 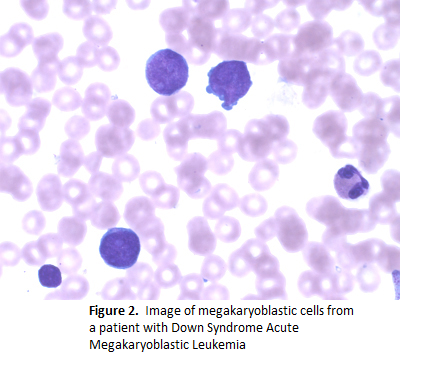 Myeloid Proliferations associated with Down Syndrome. Journal of Hematopathology. 8:169-176. Cantor AB. 2016. Megakaryocytic Transcription Factors in Disease and Leukemia, in Molecular and Cellular Biology of Platelet Formation; ed. Schulze H and Italiano J. Springer International Publishing, Switzerland. Identifying the normal in situ signals that stimulate Mk proplatelet formation in vivo. Enhancing in vitro production of platelet from human induced pluripotent stem cells ultimately for clinical applications. Understanding the gene regulatory mechanisms that mediate cell fate choice of MEPs for the Mk lineage. Huang H, Yu M, Akie TE, Moran TB, Woo AJ, Tu N, Waldon Z, Lin YY, Steen H, Cantor AB. 2009. Differentiation-dependent Interactions between RUNX-1 and FLI-1 During Megakaryocyte Development, Mol. Cell. Bio. 29:4103-15. Cantor AB. 2013. Transcriptional Regulation of Megakaryopoiesis, in Atlas on the Cellular and Molecular Development of Human Hematopoiesis, ed. Dame C, Fliedner TM, Sola-Visner M, Yoder M. Springer. Huang H, Cantor AB. 2009. 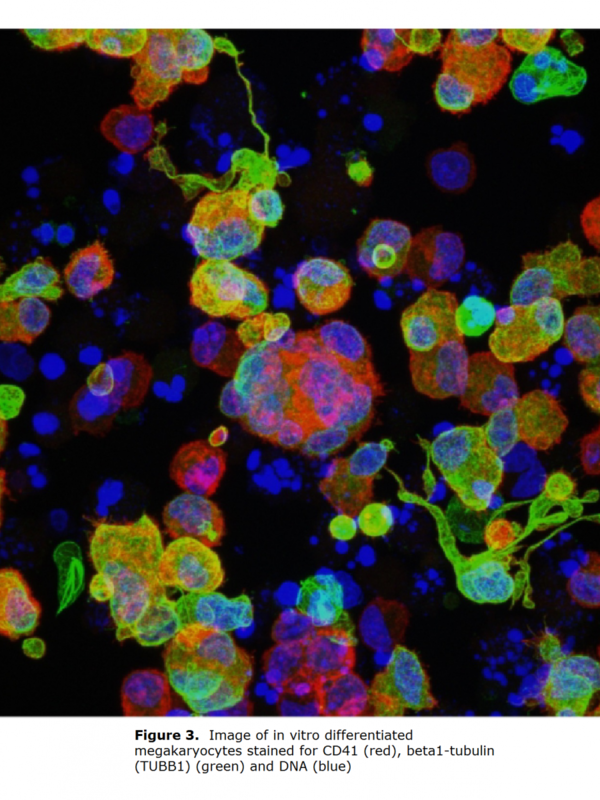 Common Features of Megakaryocytes and Hematopoietic Stem Cells: What’s the Connection? J. Cell. Biochem 107:857-64. Course directed by Dr. Alan Cantor at Harvard Medical School/Division of Medical Sciences: BCMP308qc, Cell Fate Decisions in Development and Disease (Fall semester). This quarter course offers students an in-depth examination of current knowledge regarding mechanisms of cell fate decisions and cell identity maintenance. In addition, it examines these processes in the context of developmental cell plasticity, cellular reprogramming, and cancer. It is primarily a literature-based course, with examination and discussion of key studies in the field. Concepts involving epigenetics, chromatin remodeling, chromatin accessibility, 3D chromatin architecture, the instructive roles of transcription factors, gene regulatory networks, transcription factor cross-antagonism, feedback loops, multilineage priming, non-coding RNAs, lineage identity maintenance, mitotic bookmarking, lateral inhibition, assymetric division, and niche interactions are explored. These ideas are examined in the context of blood, breast, lung, gastrointestinal tract, and germ cell development.